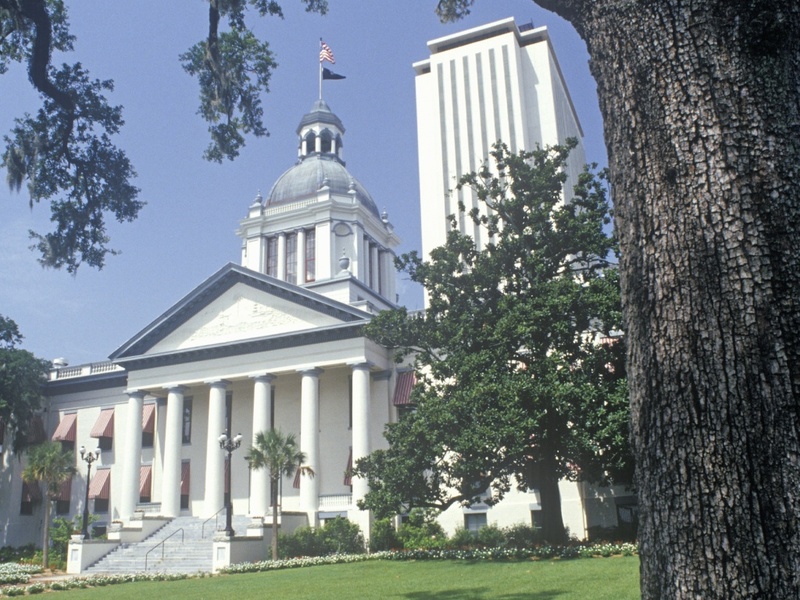 At Florida's Capitol in Tallahassee, four times a year, dozens of anxious people gather to hear a decision that will affect the rest of their lives. Felons whose sentences and probation are complete, stand before the governor and other cabinet members to ask for clemency and the restoration of their right to vote. Florida however has gone in the other direction. When Gov. Rick Scott took office seven years ago, he rolled back reforms put in place by his predecessor, Charlie Crist. More than 150,000 Floridians had their voting rights restored during Crist's four years in office. In the seven years since then, Rick Scott has approved restoring voting rights to just over 3,000 people. Here's a statistic about Florida that may be shocking: more than 10 percent of the adult population there is prohibited from voting because they've had felony convictions. Under a law that dates back to the Reconstruction era, Florida bars felons from voting, unless officials approve a request to have those rights restored. That means nearly 1.5 million people in Florida can't vote, even though their sentences are complete. Sherman believes the arbitrary and inconsistent way in which Florida restores voting rights violates the U.S. Constitution. He represents a group of former felons that's suing the state. In Florida, more than 20 percent of eligible African-American adults are unable to vote because of the law. Another group that's been working to restore voting rights for felons, the Florida Rights Restoration Coalition, gathered more than a million signatures for a constitutional amendment that will be on the November ballot. It would restore voting eligibility to most felons once they'd completed their sentences.